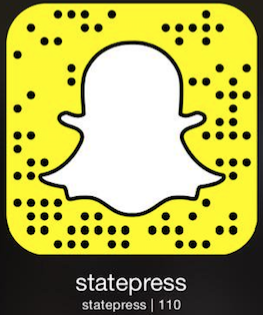 The State Press hosted USGD executive ticket candidates for a Q&A session on March 21 in which the candidates focused on student engagement and diversity initiatives for the next year. Aly Perkins, a public service and public policy sophomore, is running for USGD president. Laila Kabongi is a health sciences junior and is running for vice president of services. Angelica Cabral is a journalism junior who is running for vice president of policy. Perkins: We are all passionate women that have USG experience, and we are really looking to prioritize diversity on the downtown campus next year, and the fact that we are all women is something that USGD hasn't seen in a couple years. What campus and student life issues need to be addressed? Perkins: One of the biggest things I've seen is lack of knowledge of what services Downtown has to offer, including health and counseling services. When talking to the students about the health service fee, many students were unaware about the services offered. We want to disseminate that information. Kabongi: We want to make sure during our events that there is networking between students and student organizations and between students and administration. Perkins: One issue right now is the possibility of nonlethal weapons being allowed on campus. The nature of legislation could allow multitude of nonlethal weapons, and there's no specified list. It's important we get student feedback and let students know that this is happening. Cabral: There can sometimes be a disconnect between the Capitol and students about bills that affect students. We want to make this more transparent to students. My goal is to work to have something akin to (President Franklin Roosevelt's) fireside chats where we talk about things students should care about. Cabral: I would like to try to bring a women's specific resources center, something like (the University of Arizona) has and that we're lacking. It would combine sexual health, sexual violence and Title IX resources. I also want to look into providing free feminine hygiene products for students. This semester, the Council of Presidents has received a complaint about not posting their meeting minutes immediately after their meetings. How will you address this issue? Perkins: One thing from the COP side is each president keeping the others accountable and making sure those minutes are posted. On a campus level, we can follow our tradition of transparency by posting our minutes and maintaining that consistency. We want to promote transparency, such as posting stipends and making sure that our minutes and conversations are available. What do you think is a main quality of a great leader? Cabral: One of the most important things about being a leader is being accountable and transparent. We want to be open to students and help them or direct them to where they can get help. Kabongi: Definitely being relatable. We are all students first, so we have a unique scope because we understand what students are going through. It can be intimidating to approach students, but being relatable as a student is the best quality as a leader. Perkins: A good leader is able to take a step back and realize it's not about them. It's about the bigger picture, the people you're serving. I believe a leader should really emphasize their constituents' needs above their own. You can't know students' needs without talking to them. We can do that by tabling and keeping our students informed, by encouraging students to come to our meetings. Cabral: The goal isn't to vote with your own opinion. The goal is to vote with your constituents. USGD voting will take place March 27 and 28 and results will be announced March 29. Correction: A previous version of this story incorrectly identified the year of Perkins and the vice presidential position for which Kabongi is running.